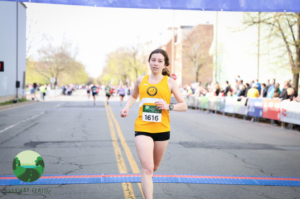 From Coach Jerry:Christine had a great spring, and that was directly attributable to her new years resolution to revise her approach to training. Christine resolved that she was going to buckle down in her training, and she stuck to that resolution, and it showed in her race results. It was great to see Christine take her running so seriously, and she proved once again that hard work pays off. We’ll miss Christine when she heads off to medical school, and we wish her well! 2) Goal race(s) for this year? Other races planned? least run in the 2 mile “NOLA Bluedoo Run” like I did last year. As a member of NOVA, I would definitely say my best performance was the GW Parkway Classic! I wanted to start off 2018 eating, sleeping, and training better, so I would race better. That paid off when I ran faster than my goal of 7:15 – 7:20 mile pace! 4) How and when did you findNOVA, and what do you like best about the team? appreciate how many team members have also been mentors over the past year and a half. 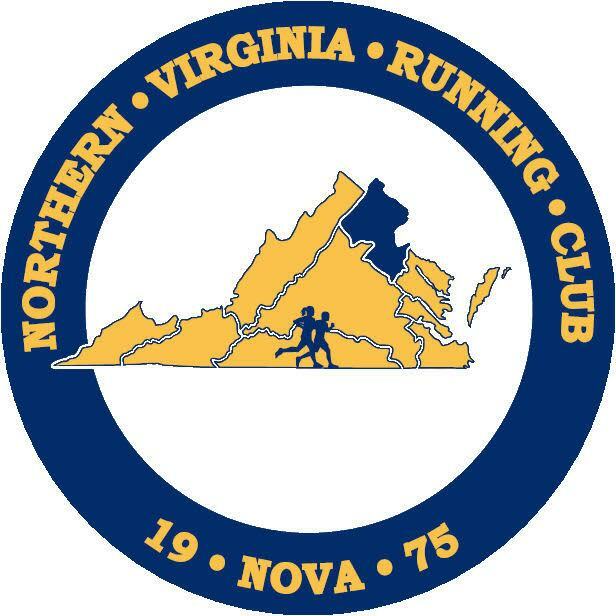 5) What’s the best piece of advice you’ve received from Coach Jerry, and/or another member ofthe NOVA club? So much advice and support! Where do I begin? Two of my 2018 New Year’s Resolutions were interdependent: I wanted to increase my training volume per week, and I wanted to complete the entire NOVA practice every Tuesday night. We cover 3-4 miles worth of track work, so I needed to make sure my long runs were longer than the 7-8 miles I would do in total on Tuesday nights. This included not only all the recommended reps but also all the cooldown laps. After crowdsourcing GPS watch advice from NOVA team members, I settled on a Garmin Forerunner 235 to track my weekly mileage accurately through Strava. All the encouragement from the team on Strava really helped me stick with the weekly mileage resolution. I asked Coach Jerry to hold me accountable for following through on the Tuesday workout resolution, and he was great about offering words of encouragement during and between reps.
Michelle, Andrea, and Jess gave great advice on how to approach the rolling hills along the GW Parkway Classic. Lindsey is always so positive and optimistic whenever I talk to her about anything. Joy and Jim have been a fun posse to pace with, especially during some of the harder winter workouts. Lastly, shout-out to Erin for giving me career advice a few weeks ago. 6) What thoughts do you have on your performance at the GW Parkway Classic, or other recent races? I was able to settle into my goal pace around the 3-mile mark after going out a little too fast (6:32 first mile… oops!). My watch distance helped me realize around mile 5 I needed to focus more on running the tangents. The view was beautiful, and the after party was a blast. I’ll look back on that race fondly. I walk dogs through Wag! as a #sidehustle, which can often be quite the cross-training workout. I’ve also been working on my cooking skills and reading more books.